Stenter Machine Pin Block Manufacturer, Exporter and Supplier. We are leading manufacturer, exporter and supplier of Pin Block for Textile Stenter Machine. 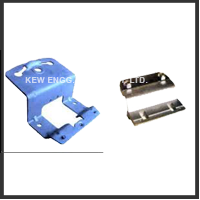 We have designed Pin Block for heavy duty and for longer durability with meeting International standard. Heavy duty Bow roll and web guiding system manufacturer for Textile Machinery.